manage your Instagram like a professionally it’s very time to consume. but you use the right tools for instagram unfollowers and followers so it’s very easy. The Instagram app itself is not friendly to know your unfollowers or people who don’t follow back. 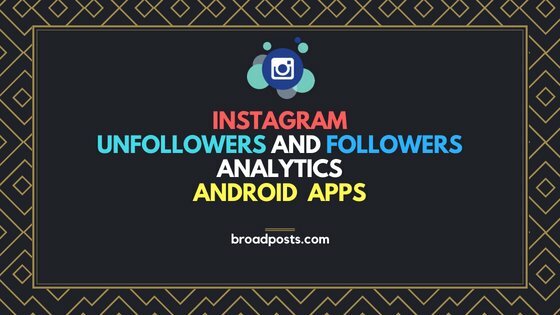 so that we compile some best Instagram unfollowers & followers analytics apps for Android, that really helps you. Instagram is a very popular social media platform at the all time. 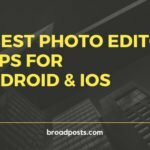 Instagram provides an easily customize layout than Facebook or other social media platform. I think facebook is may be slower than Instagram. so Instagram is best, but engage with real people and daily Instagram users is very difficult. If you want to use Instagram as influencer so you need to check daily Instagram unfollowers and analytics. It increases your knowledge to gain more genuine followers. This app rating is (3.7/5.0). this app has 1 million total downloads from Google Play. 1. With this app, you can track your current and new followers. easily unfollow all your Instagram unfollowers. 2. You can also check age analytics of your followers and its amazing feature is its show most popular time to post. We select this app because app analyzes your bots percentage in your profile and display the best time for you to post. This have (4.1/5.0) Ratings and layout of this app is better than all apps. All Instagram unfollowers app is same features but this app design and layout is awesome. 1. you also check anyone’s Instagram profile analytics. but this feature is limited in simple version so if you want to enjoy more this feature so buy pro version with some bucks. but I don’t recommend to buy and waste your money. 2. It’s the best feature is everything about followers how many followers you lost means unfollowers who is your friends, and non–follow-back persons with the full profile. This app has one of the best features is you able to track another’s account. This feature is limited to use 5 accounts per day. And if you want to more so you subscribe as a premium member. All above mention app is analytics for Instagram unfollowers but this app is something new and best so let’s talk about this app. 1. This app has also unfollowers analytics and you get your competitors followers and following list that’s all of the apps have done. App provides Mutual Friends List that’s cool. 2. One of the best features is follower assistant helps you to unfollow the users who are not following back. so you have not go on the Instagram app and search for a person and unfollow them this feature is really cool. Something amazing in this app I’m not bored you more, an amazing feature is you can access to Unfollow Your Following List In Bulk. So that you have no more time waste in unfollow in bulk. 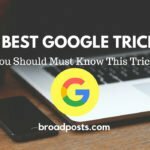 Cool Google Tricks To Improve Your Searches!